Constructed in premium 3/4" MDF and large silver binding post terminal blocks. 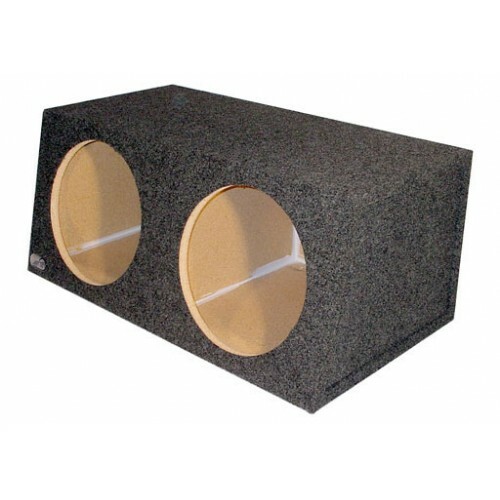 Angled speaker baffle face that greatly reduces standing sound waves to improve the clarity and performance of your subwoofer system! SEALED with Medium air Volumes! Not Concerned about MDF construction or deluxe terminal....Choose Particle Board option and SAVE $10!